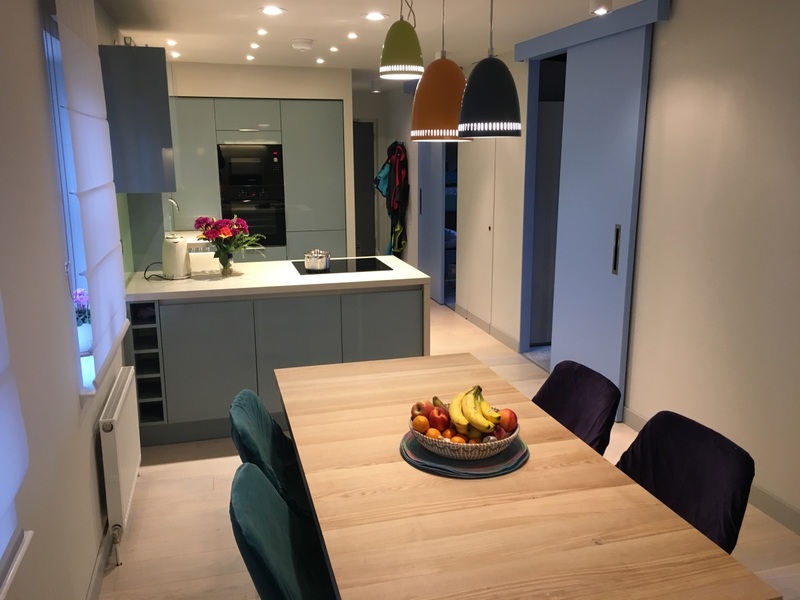 We wanted to create something special for this recent project in Newton Mearns, and so a mixture of bold contrasting colours and finishes were used to make the kitchen really stand out from the crowd. 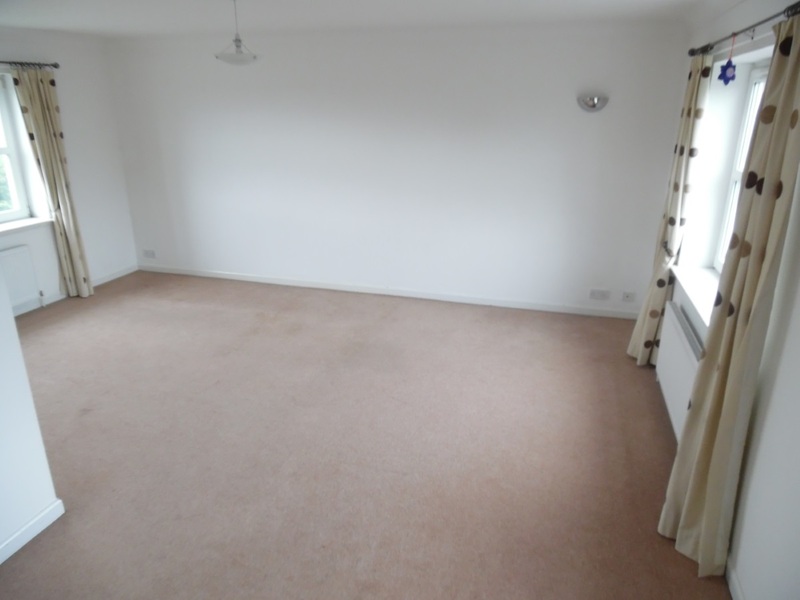 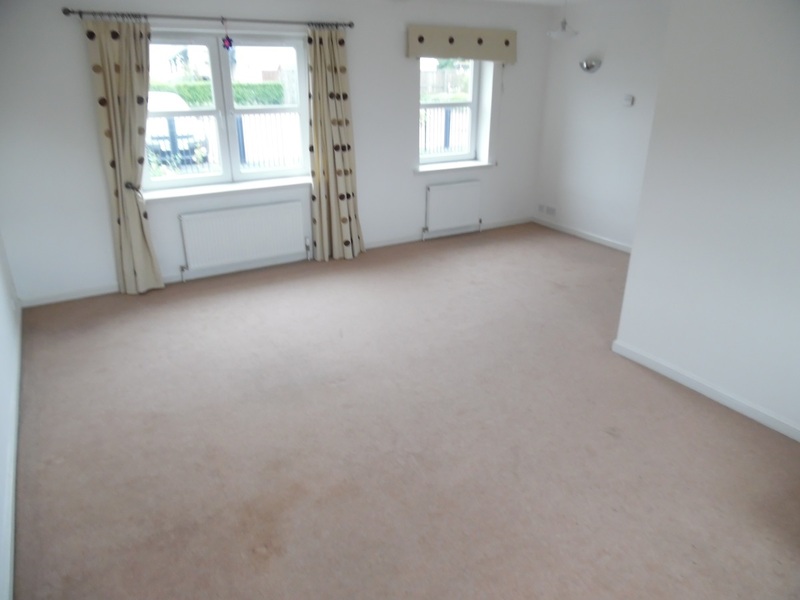 With the help from our customer Ewa, a keen interior designer, the idea was to totally transform the flow of the space. 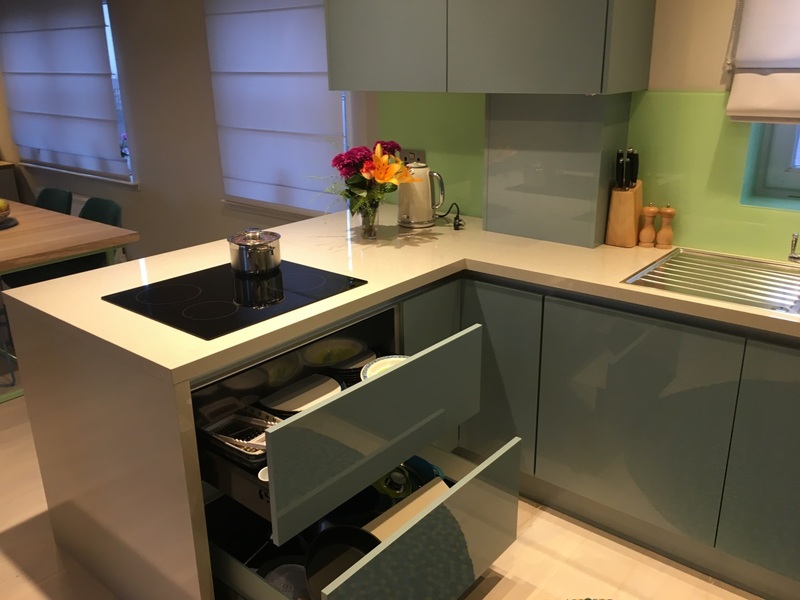 An internal wall was removed in order to change the entrance into the kitchen and improve the bedrooms and storage areas. 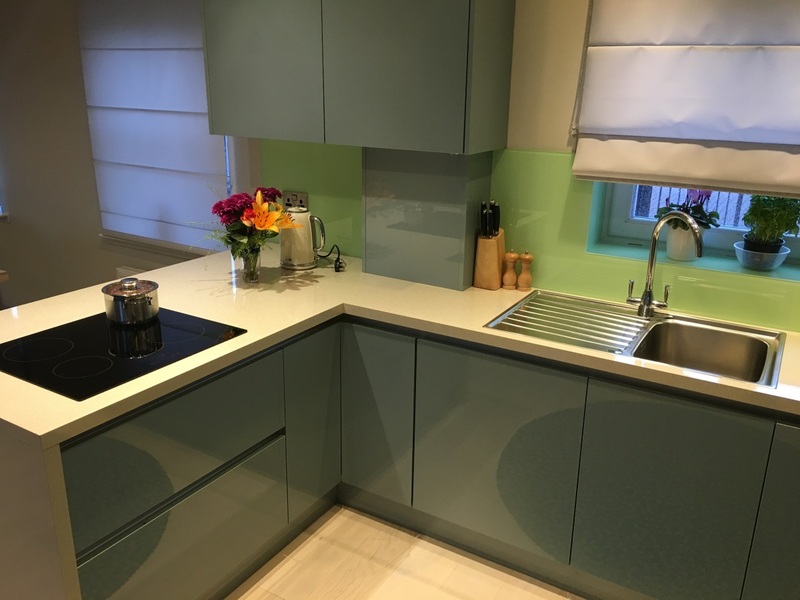 You will notice that a lovely green glass splashback was used to really make the kitchen “pop”!! 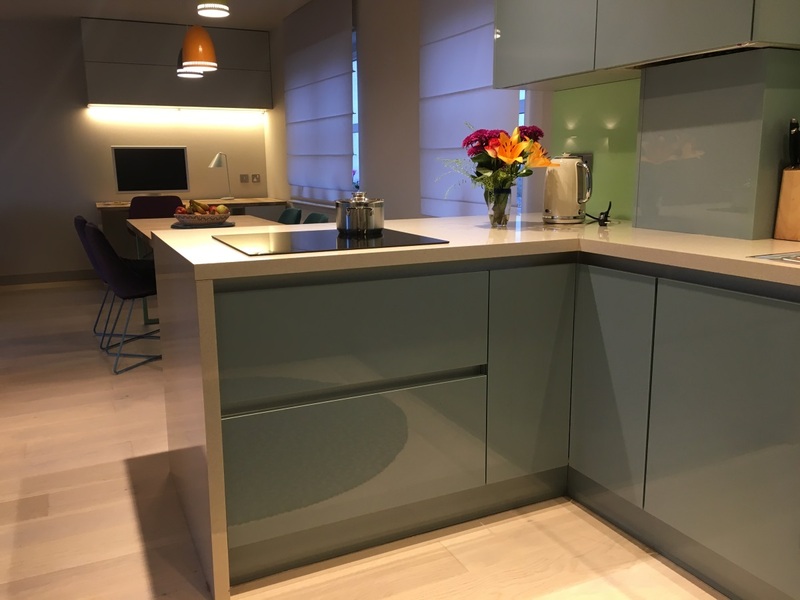 A galaxy white gloss bespoke laminate worktop was used for the surfaces and a Crown Imperial Furore metallic oxygen door for the kitchen furniture. 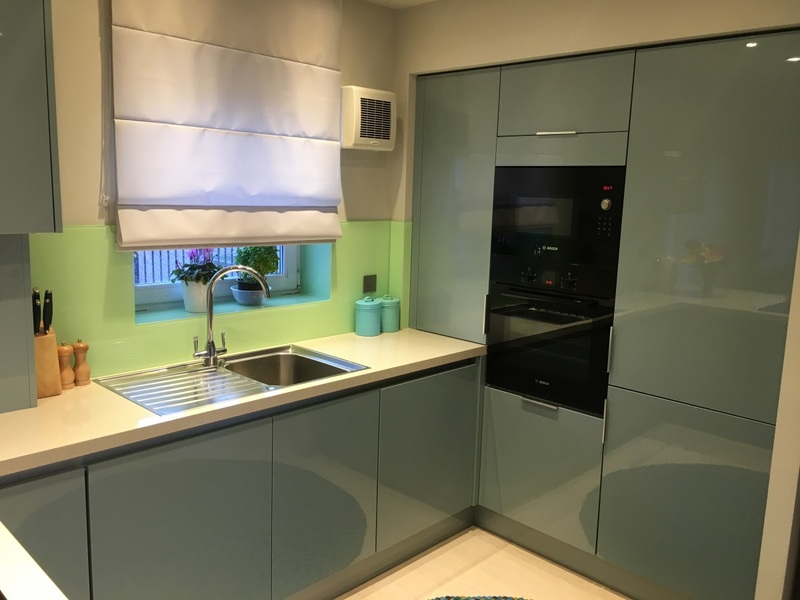 We used black Bosch appliances for the Oven, Hob and Microwave to allow them to stand out in the kitchen and add to the overall balance in colour. 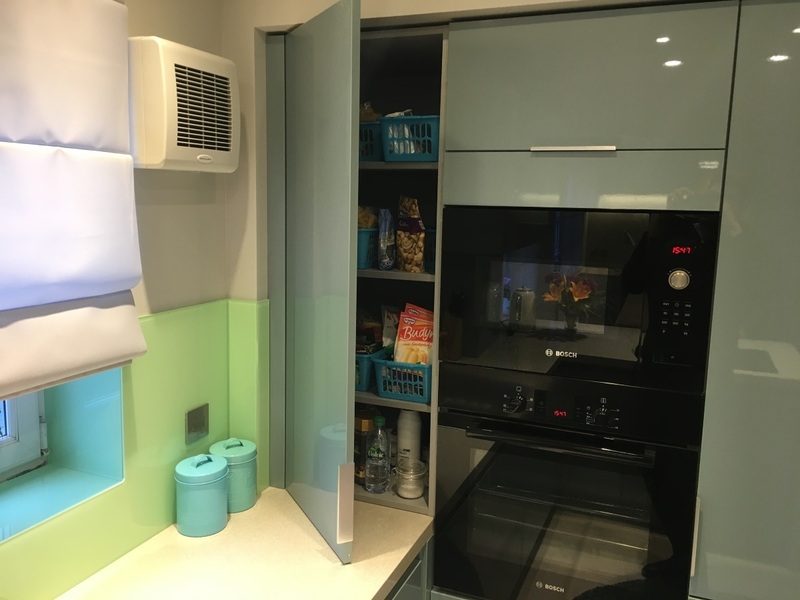 We wanted to create a division between the kitchen cooking area and the new dining area but still allow strong communication in the room. 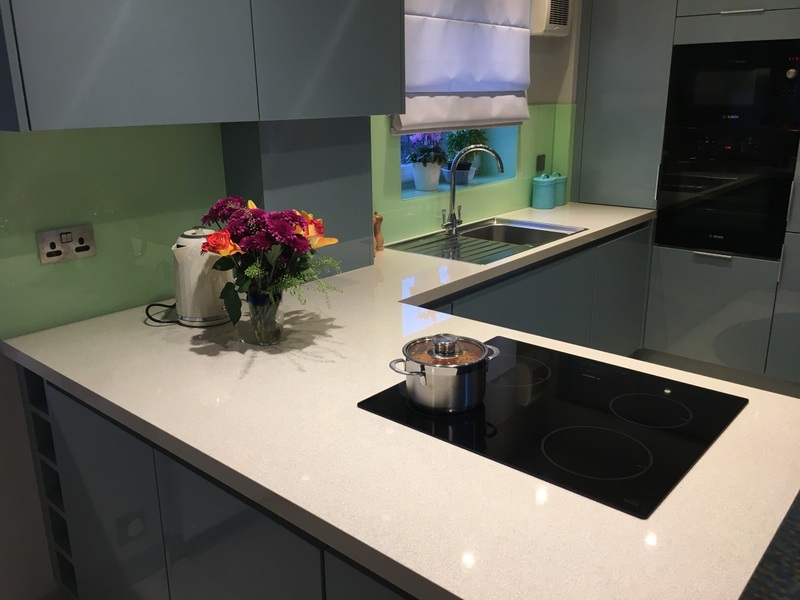 The customer had a young family so we introduced induction cooking because of the great safety features it has during and after use. 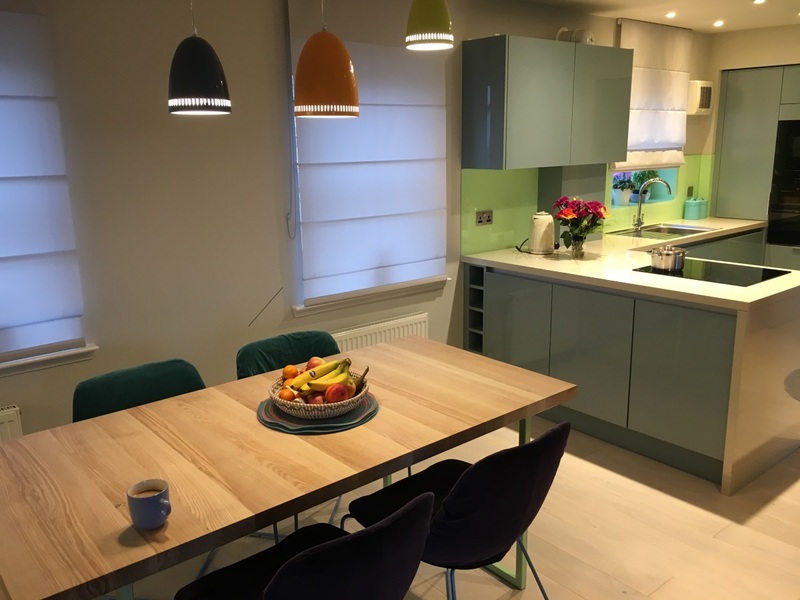 The use of colourful light fixtures were used to contrast the neutral background and a mixture of spot and task lighting creates a real ambient balance in the space.